rentals availableThe Friends of Chapman State Park welcome you to Chapman State Park’s unspoiled 2200 acres and to its 1840 antebellum manor house, Mount Aventine. The park was acquired by the State of Maryland in 1998 and is managed by the Maryland Park Service. Our Friends organization is proud to help develop the Park and to introduce this little known gem to the broader public. Sweeping Potomac ViewsPeople with a special love for Chapman State Park's rich environment and historic antebellum manor house have joined together through the Friends of Chapman State Park, a not-for-profit volunteer organization affiliated with the Maryland Park Service. 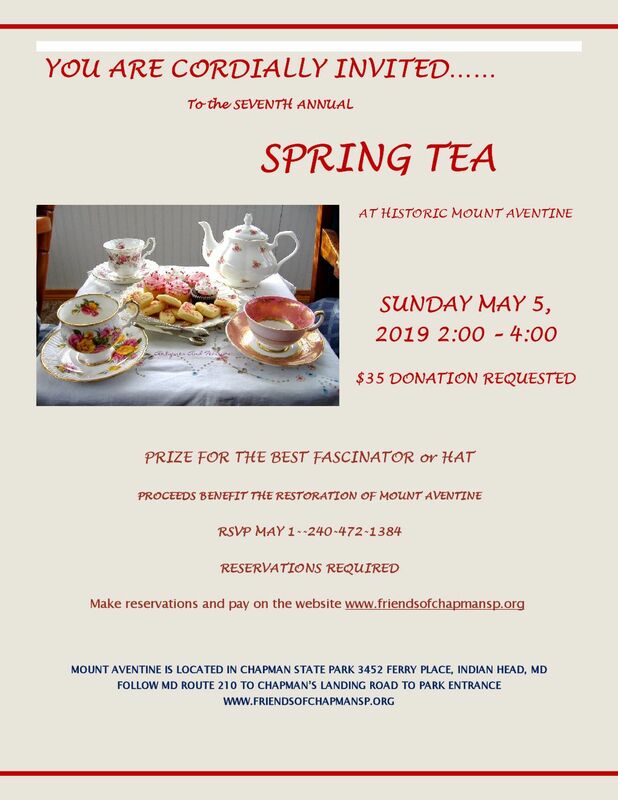 We support the Park by hosting a variety of programs at Mount Aventine, the historic manor house; by sponsoring nature walks and other environmental interpretation activities, and by assisting with improving and maintaining the Park and manor house in a range of ways. We also support a program to remove invasive species from the Park. Please join us. We will welcome you! Read more below to join, make a donation, or become a patron of the Friends of Chapman State Park. We hope to see you at one of our Open House or riverfront events or on one of our trails at the Park sometime soon!